Capel Lofft, his first name sometimes written as Capell, was an English lawyer but he supplemented this with occasional forays into writing poetry. He had outspoken political views and campaigned against those causes that he felt strongly about. He belonged to the Whig party and was considered to have “Foxite” tendencies within that party. Lofft came from a family of intellectuals and scholars, a good example being his uncle, Edward Capell, who was credited with the discovery of the play Edward III, known as one of Shakespeare’s “lost” works. 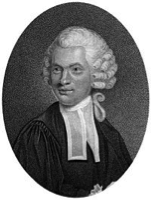 He was born on the 14th November 1751 in London into a middle class family who were able to send him to school at Eton, and then to Peterhouse College at the University of Cambridge On graduating from Cambridge he entered chambers at Lincoln’s Inn and was called to the bar in 1775. He was fortunate to inherit considerable sums of money and property from the deaths of both his father and an uncle, including grand Suffolk houses such as Stanton Hall and Troston Hall. Lofft had added a preface to the work, principally as a means of smoothing out the rough edges of the author’s rustic style. He also made a few grammatical and other changes to the piece which, in his opinion, would make it more readable. He numbered among his friends the likes of Coleridge and Hazlitt, both famous writers with controversial political views that perhaps mirrored Lofft’s own. His fortunate early circumstances could have led to him living a life dedicated to idle pleasures but he had a strong social conscience that did not allow him to do so. In later life he served as a magistrate in his home county of Suffolk but was struck off following a tragic case in 1799 where a young servant at a country house received a death sentence for her part in the theft of property from her place of employment. Despite vigorous appeals to have the sentence commuted the woman went to the scaffold and Lofft was there to support her, even trying to revive her following the hanging. For this “improper interference”, along with his constant attacks on the Tory government, he lost his position as a magistrate. Although holding the political views that he did would be considered reasonable today, 19th century England did not take kindly to his opinions and he was forced into exile in northern Italy, where he died. Capel Lofft died on the 26th May 1824, aged 72 and was buried in the Protestant church at St Germain, Piedmont.